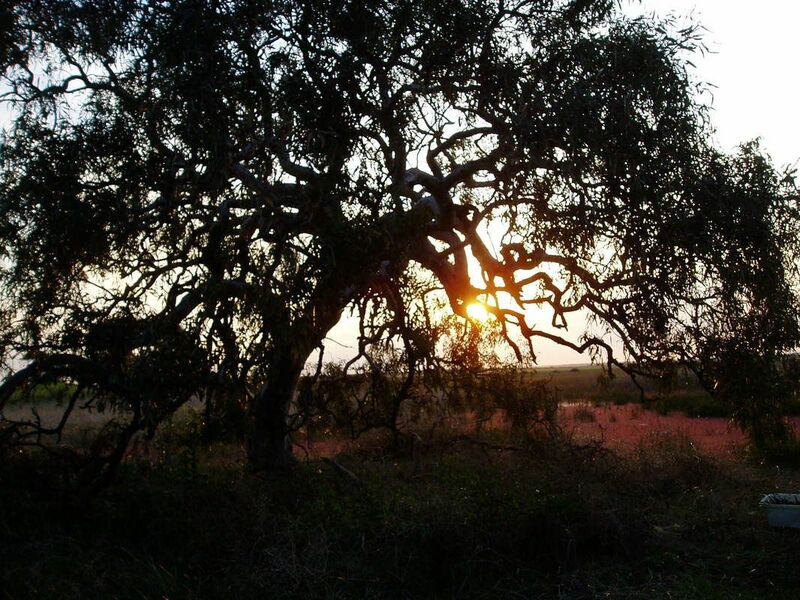 Eucalypts are much more than an Australian icon. They provide food and homes for thousands of beating hearts belonging to the many native birds and mammals that may live their lives around one old tree in a woodland or forest, or the transient honeyeaters that migrate to follow the annual nectar flow. A mature gum tree can be compared to a modern multi-storied apartment block with a supermarket and a hardware store on each floor. Every part of the tree is used for either food or shelter by the full spectrum of life forms. Relationships develop that benefit both the tree and its residents. It is fascinating to look more closely at one of these mutually beneficial relationships. Wildlife researcher Andrew Bennett and his colleagues at Deakin University have studied the habit of migrating nectarivores (nectar feeders) in the Box-Ironbark forests of north-central Victoria. 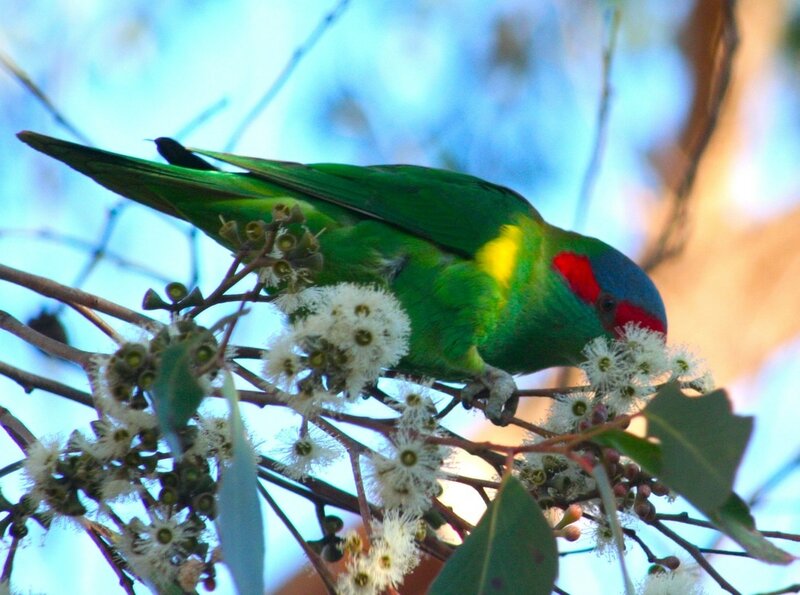 The Ironbarks, Grey Box and the Yellow Gum have the distinction of flowering in the winter months when there is no nectar available from other eucalypts. Imagine how busy one open supermarket chain would be if all the other chains closed for two months each year. A diversity of bird species is willing to travel long distances to feast at these ‘out of season’ tree supermarkets. The most conspicuous being Red Wattlebirds, Noisy Friarbirds, Musk Lorikeets, little Lorikeets, Purple-crowned Lorikeets, Yellow-tufted Honeyeaters and Black-chinned Honeyeaters. Unlike supermarkets, eucalypts have to be self-sustaining. They can’t employ cleaners, shelf stackers and checkout workers to ensure that the necessary upkeep is done and that the running costs are met. These winter flowering trees have ‘wisely’ organised a huge workforce of volunteers to do the annual pollination and fertilisation that they need for immediate and future survival. 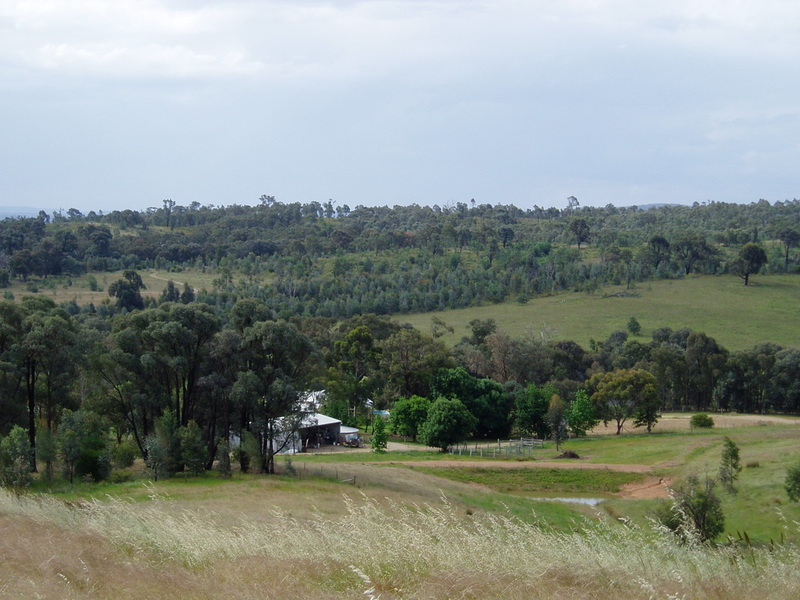 The soil in Box-Ironbark country is generally low in nutrients. The variety of birds that visit the trees provide in payment, a diverse range of slow release fertilisers that are essential to the health of the trees, as well as the leaf eating mammals and insects that also rely on the tree supermarket, and pay with their faeces. Bennett and his associates noted that the big trees were more popular with the nectarivores because they produced nectar more reliably for a longer period than the smaller trees. The ‘late night shoppers’ of the bird world are impressed with good service. This also guarantees that the best genetic material available in the tree community is liberally spread around, ensuring that the evolutionary trend is toward bigger, stronger, healthier and more prosperous trees. Modern supermarkets could learn a lot from the eucalypts of Australia. Without the aid of multimedia, they manage to muster an army of ‘shoppers’ who willingly pay their way in a diverse and competitive environment. They do this by generously providing valued services to wildlife, which unknowingly perform services essential to the health of the tree and its community in return.